As a teacher, I often hear two long-standing negative assumptions about the Common Core States Standards. The first is that standards limit creativity in the classroom, and the second is that they encourage to “teaching to the test. ” As a corollary to these arguments, I often hear critics complain that states should spend less time on standards and more time on growing “quality” teachers. Challenge students to use critical thinking skills. Provide teachers with the autonomy they need to create engaging lessons. The videos demonstrate how master teachers utilize rigorous standards to create a learning environment that promotes success. Mary Pinkston, 2010 Delaware Teacher of the Year, discusses how the standards provide her with the “core basics” her students need to know. The 2014 National Teacher of the Year, Sean McComb, believes the standards are preparing his students for life by developing their critical thinking skills. Sean’s creative use of the standards prepares his students to take their place on the global stage. Mohsen Ghaffari, 2015 Utah State Teacher of the Year, understands the importance of preparing his students to become global citizens. He believes the rigor of the standards provide them with the problem solving, critical thinking and collaboration skills they will need to be successful in the 21st Century. 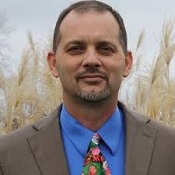 The 2014 Washington, D. C. Teacher of the Year, Bill Day, describes the Common Core State Standards as a set of tools that students and adults need to be successful in school and beyond. The standards provide teachers with the ability to stretch student learning is a thought that was shared by Josh Parker, 2013 Maryland State Teacher of the Year. The 2013 Washington, D. C. State Teacher of the Year, Julia King believes the Common Core State Standards have helped raise the bar and provides teachers with the autonomy they need to challenge students. Like many teachers, Allison Riddle has challenges when dealing with the large number of students in her classroom, and she needs the support of parents to make it work. According to Allison, the Common Core are the rigorous but flexible standards she needs to challenge each and every child. Some parents have reservations toward the standards because this was not the way they learned. Allison says she must communicate why higher, rigorous standards, which focus on problem solving skills, are important. The standards provide her with a common vocabulary that enables her to have an ongoing discussion with parents about their child’s learning.